Depart from Acapulco to Taxco and make the first stop for breakfast at a restaurant in Chilpancingo (cost not included in the price, guests must pay directly). Continue the trip and stop at the First Silver shop to then head to the Second Silver shop and do some shopping. 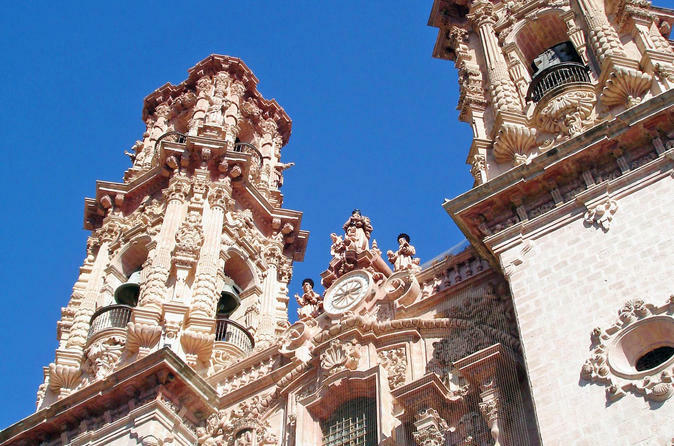 Arrive to Taxco and have a guided visit to the city. Then, your guide will take you to the local Restaurant (cost not included in the price, guests must pay directly) for lunch. From there, head to the Main Square and enjoy a guided visit and see the church. Have some time at leisure for shopping at the Plaza before heading back to Acapulco.